Reviews.io has developed several review collection solutions including Merchant Review Collection, Product Review Collection & In-Store Review Collection. Reviews.co.uk is focused on providing the best social review experience for websites across the globe. Our developers are happy to create custom solutions to fit your individual business needs. We display all of our costs upfront and don’t tie you in with lengthy contracts. We don’t shy away from challenging projects and we love creating custom solutions for our clients. "Great reviews platform. Awesome customer service." Great customer service! Ryan did a great job integrating reviews.io with our store. He was very thorough and in addition was kind enough to take the time to answer all of our questions. The platform seems very good. Email templates are customizable. It's nice to be able to automatically collect google local reviews as well. There are additional options for local reviews collection which we have elected not to use. It's too early to tell. So far so good. There are a few things about the platform, which are a bit counterintuitive but customer support has guided us through them. I don't consider any of those a negative -- it's simply a matter of learning how to use the platform. One thing we recently stumbled upon is that reassigning a company review to a product review (because the review was 100% about a product and not about our service) actually duplicated the review; thus, we ended up with the same review under "company review" as well as under "product review". Two negative reviews for the price of one, if you will. We were able to successfully contact the customer via reviews.io (a great feature!) and after we resolved the customer's issue the customer revised the initial review into a positive review. However, the duplicated review was not revised. Hopefully, there's a solution to this. Or, alternatively, I'll never attempt reassigning another review again. It meets our needs. A good balance of functionality and price. Beautiful customizable templates for product and company review invitations to former shoppers. Centralized review aggregation by a company trusted by Google. Rich snippets! Having stars by our products in organic Google searches due to verified customer reviews is huge. Being able to manually assign what kind of company reviews we want to collect (reviews.io vs google local reviews vs others). "Great review platform. Easy to use. Simple but very effective"
I found it very easy to set up. Some other platforms try to overcomplicate it a bit, but this is easy. I like that it integrates with google too, so that your stars can show up when people google your products. We use the off the shelf "widgets", so that we can show people that we've collected 800 reviews and our average rating is 94% or whatever. It's very reassuring for new customers and it looks great on our site. I also love that they don't try to gouge you with the pricing, like some other players in this sector. Nothing really. It does everything that I want it to do so I really don't have anything to complain about. Their customer service used to be a little slow, but that's when they were just starting off quite a few years ago so they've got a lot better now. It provides great reassurance to new customers that our products and service are really good. It's all about trying to build trust. "Best review management tool I could find"
Reviews.io centralizes all of our review listings within a single interface. It gives us an easy to use platform to monitor client feedback and engage with them in near real-time. Using reviews booster we were able to quickly gererate more validated reviews from our current clients. We love the fact that we can ask our users to post reviews on third-party review site (google, yelp, trustpilote...). Because the platform evolves so quickly sometime a new feature might stop reviews from loading. That said the team is super reactive and everything is quickly solved. I have interviewed several other vendors and reviews.io was way above the rest in term of features and price. We are now on top of our customer reviews we listen and provide immediate feedback. Thanks to Reviews.io we have been able to generate many new genuine reviews by integrating it with Intercom. Our overall score is now super good and our reviewers appreciate our immediate attention and feedback. "A product that has revolutionised our business!" The platform just works - and really well. Reviews conversion is high - much higher than our previous supplier. We take the data and use it to drive our decisions as to what we need to do next. The team at Reviews.co.uk are ultra responsive - they love helping us out when we have new ideas. In particular they have modified their API to provide extra data that we requested so we can build services used across the airport. They are very proud of their product and a pleasure to work with. Take a trial and ask them lots of questions that you may have. They will impress you! Reviews.co.uk have helped us understand customer satisfaction and pain points across our business in more or less real time. We have dashboards used across the business that tell management how things are going. We take the reviews.co.uk data and use it to derive a year on year customer satisfaction score that sits alongside our weekly and monthly financial metrics. We have an action plan that drives investment based on the data Reviews.co.uk provide us. We believe that happy customers will both spend more and come back - so a core benefit of having reviews.co.uk is increased financial performance. "It would be difficult to ask for more..."
Overall, a fantastic experience. I've never been through a smoother and more upfront sales process, and the customer service has been unparalleled. When it comes down to integrations there are several options, so matter the level of technological experience our partners are able to quickly and easily set up the data feeds. You couldn' task for more when it comes to product features, ease of use for the end user, and overall functionality. In my mind, the biggest weakness for Reviews.co.uk is their reporting functionality. It would be nice to be able to get deeper into customer segments and drill into some of the dashboards. The navigation is easy, but not super intuitive for me so it took some getting used to. 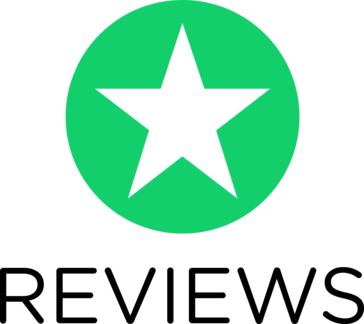 By utilizing reviews.co.uk, our partners in the ecommerce space are able to realize the benefits of an automated merchant and product review flow. We have been using Reviews.co.uk for over a year now and the ease of implementation of the platform along with the flexibility on how we collect reviews for our product is outstanding. Our reviews get pushed to Google and we are very pleased with the results of implementing. We are only doing product reviews but are looking to implement the Q&A functionality as well as moving our NPS scoring over to their system. Could use a better integration with Bing XML feed creation but since the reviews are exportable it isn't the most difficult thing for us to manually complete. Give it a try. It is definitely worth the investment. As an ecommerce company we were primarily looking to obtain product reviews so we could implement Google Product Ratings into our shopping campaigns. Their solution worked perfectly to meet our needs. I love that if I think about it, they can do it. It's super amazing working with this service. I also appreciate that Kehan Vale has helped me multiple times personally whenever I've had problems. It's people like him that make all the difference. Not really anything - it seems pretty awesome through and through. Don't come in expecting everything to be done for you. This is a product where the more you put into it the more you get. And that's the best part. Nothing in life is too good to be true so if that's what you're looking for than you should still use them but expect less. And that's the best part. Nothing in life is too good to be true so if that's what you're looking for than you should still use them but expect less. And that's the best part. Nothing in life is too good to be true so if that's what you're looking for than you should still use them but expect less. If you are looking for help to improve the product than that is a different story entirely. The help at Reviews.io is absolutely incredible. We're trying to automate review collection and move from one platform to another. Reviews.io is helping us get everything transffered. "Great small team with a scalable platform"
The service you get from the team at Reviews.co.uk is excellent. They respond to queries very quickly and always aim to improve the platform to help solve our issues. The business is very open and no matter who you talk to they are very passionate about what they do. Not to mention they always aim to please due to their rolling agreement. There are a number of established Reviews & Ratings businesses within the market. Forget those as not only is Reviews.co.uk cheaper they are much more flexible and work to your requirements. The team and the platform is scalable but also adaptable to the ever changing market. We moved to Reviews.co.uk over 4 years ago as our current supplier could not meet our needs. Over the years it has been great to see the platform continuely develop to meet our business needs. The reviews team always welcome any suggestions and suppprt to solve any bespoke problems. We have seen our score constantly grow and outweigh our competitors given our customers trust in our brands. Reviews.co.uk has helped support trust in brands. Mobiles.co.uk offer competitor prices on the latest mobile phones therefore trust for the customers is key and reviews.co.uk has helped deliver this onsite as well as offsite. SEO has already been a key objective for us and reviews.co.uk has constantly worked with us to ensure high rankings. "Most Feature Rich Reviews Platform of Unrivalled Value"
- No question that Reviews drive sales, for any online site having a robust platform that is able to capture & convey feedback is invaluable to the success of the business. To this end, reviews.io has met our expectations. Having used every well-known review platform, it's clear that reviews.co.uk is by far the best. It adds clear trust signals to any website which has proven to help conversions. The platform is superb and the team put a huge amount of effort into ensuring they don't stand still - so I dislike nothing. If you aren't tied into a contract with your current review platform, I'd absolutely recommend moving to reviews.co.uk - just make sure they will extract your review data for you to import into reviews.co.uk, some platforms make it difficult to move. 1. increases conversion rates as it adds so much trust to a website. 2. Adds a layer of communication with customers which can sometimes go missing. "Simply the best reviews platform - affordable, transparent and easy to use." The team who built and support the platform have their customers at heart. We have found they are willing to help with any integration or questions. We also really like the price - other review platforms charge ridiculous amounts. An integration with Zapier would be great as that is how many smaller businesses link their business processes in with things like review collection. We have found they provide the same, if not better, levels of service than review platforms 3x more expensive. The team are also great at helping integrate with our websites. "Makes managing reviews 10x simpler"
The review platform is simple, clean, very business friendly to use, and doesn't require much technical knowledge to implement. It works with ads and doesn't interfere with SEO. It actually helps. Young product line that will mature as it gets more users. Some features are pipelined that I would enjoy now. Give it a shot, you won't be disappointed! Collecting reviews, replying to reviews, technical updates/implementation of review systems, rich snippets, SEO, etc..
"Great customer services; unbeatable value. " We have been working with reviews.co.uk for about 3 years now and I can't say anything bad about them. The original attraction was the range of features and online display options for a price which was much more reasonable than anyone else in the market. The team have always gone out of their way to help us and have been very responsive to our needs. The product itself works perfectly for our online needs and has become a cornerstone of our website. I have nothing negative to say about the team or the product. Can't go wrong with these guys! Customer review gathering and display on website. Star ratings display on Google SERPs. "Excellent Review System for Small Businesses & Superb Support"
The product is very easy to learn and understand. The support is just out of this world, best we have seen from any review company. The price was a big factor for us and they met our budget. There is nothing i dislike, superb company... We really mean that! If you are wanting a good system wish a fair price then Reviews.co.uk will serve you very well. Using Reviews.co.uk allows us to show our customers what others think of the business which is key for a small business like us. We also use their organic star rating which helps generate more than 35% more clicks to our website and results in 20% more profit. "Small enough to care, big enough to carry authority with our customers"
relatively fluid system which goes above and beyond the functionality of other review platforms. Modern design and second to none support. The reviews brand doesn't carry as much weight with our customers (or competitors) as other review platforms however over the last year or so we have been using them, it's building traction. Good to trial alongside other review platforms or drive straight in to. We're trying to get as much feedback from our customers as possible to help internal processes and this is a solid spoke in a wheel for feedback. "Transparent review platform that trumps all others for price, support and style"
No contracts, fair pricing & amazing support. The platform is incredibly easy to get going with but feature rich enough that there’s plenty to play with and lots of actionable insight. I’ve used and recommended Reviews.co.uk to small and large businesses alike, and we’ve always been incredibly happy with the solution. Other review platforms (Trustpilot and Ekomi especially). Their pricing is unfair and they try to lock you in to lengthy contracts through bullying. Both gaining valuable feedback to improve products and services and also to display real social proof to potential new customers. There are plenty of great widgets and display options to integrate the reviews into your site. It was very apparent that the vast majority of the issues we had stemmed from our planning office. We needed more staff to take calls We needed to recprogramme our phone system and we needed to train our staff how to handle customers more professionally. "Easy to Use, Great Customer Support"
Every time I had any question or issue with the service my concerns were quickly addressed, The service has been great for collecting reviews. "The best reviews platform by far!" The ease of use as a vendor and the brand. Such a strong brand to have for your reviews. Nothing at all. Very easy to use and easy to convey our reviews. Offers a very user-friendly, clean and crisp reviews platform good for vendors to use, and for users to view reviews. Functionality, ease of use, great support... honestly, what is there NOT to like? It would be nice if replies to reviews would maintain the formatting that you type them with. Right now, line breaks are removed. Review syndication, integration of reviews with our public facing websites, etc. We've seen a dramatic increase in click through rates on ads and organic results which include the syndicated "star" ratings. The integration options are really great. The intercom review collection method is probably the best feature we use. "Company & Product Reviews by reviews.co.uk"
I cannot think of any reason not to like what reviews.co.uk offer. Easy to setup, value priced, Review syndication with Google works, importing reviews, included widgets, solid support, etc. UX is feeling slightly dated, but everything works great! syndication of reviews on Google + FB etc, credibility + trust with new users, sharing testimonials from happy customers, collecting important product feedback from users, etc. "Reviews is perfect for us - Tech compsny"
The fact we are not tied into a single platform - we are building our ‘reviews’ across Google, Trustpilot, etc, as well. Giving us a more transparent and open review platform. "Quick to Rectify Poor Customer Service"
They were quick to rectify poor customer service. They originally had very poor customer service. "Ultra professional with that personal touch "
We have used reviews.co.uk for over 2 years and cannot fault them , plus even though they deal with global brands they still have that personal service. We target our team on reviews which keeps service high thus our customer retention gets stronger and stronger. The customer service is brilliant, and they explained the features very well to start. There really isn't much to dislike about this company. Customers feel more confident buying from us now, given the reviews. * We monitor all Reviews.io reviews to prevent fraudulent reviews and keep review quality high. We do not post reviews by company employees or direct competitors. Validated reviews require the user to submit a screenshot of the product containing their user ID, in order to verify a user is an actual user of the product. Hi there! Are you looking to implement a solution like Reviews.io?